Hall of the Mountain King: Stuck in my Head: Zakk Wylde, "Sleeping Dogs"
Stuck in my Head: Zakk Wylde, "Sleeping Dogs"
I remember being extremely excited about Zakk Wylde’s solo album Book of Shadows back in 1996, and then supremely disappointed. Loving his work with Ozzy Osbourne and Southern rockers Pride and Glory, I expected a scorching set of metal tunes. What I got was a collection of mostly soft, acoustic numbers, and I hated it. Fast forward 20 years, and I have developed a much greater appreciation of Wylde’s acoustic work. In fact, I think it’s some of his best work, and some of the tunes from Book of Shadows are among my favorites. I’m generally opposed to “Part 2” albums because they create an expectation that they can almost never live up to. But I have to admit that my interest was piqued when Zakk Wylde announced that he’d be releasing Book of Shadows II in April. On Thursday, we got the first track from the new album, “Sleeping Dogs,” and it would have fit right in on the original release. I was expecting the song to be more like his Black Label Society acoustic album Hangover Music, but it really does capture the simpler spirit of the original Book of Shadows. 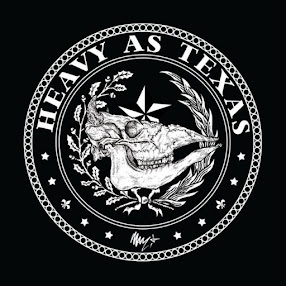 "Sleeping Dogs” is a little janglier than his acoustic work with Black Label, though certainly no less dark, and while he does crank up the electric for the leads, it doesn’t quite rise to the “heaviness” of a BLS tune. On first listen, I’ll admit that the song struck me as kind of plain, but a couple of hours later, I was sitting at my desk and humming the chorus in my head. 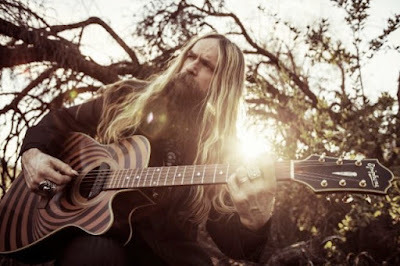 I also like that Zakk Wylde puts a little more enunciation into his vocals, like he used to. I think his gravelly voice is great for this type of music when he sings it like this, but some of his more recent acoustic numbers have been almost unintelligibly moaned. It worked for him on his cover of Bill Withers’ “Ain’t No Sunshine,” but not on much else. “Sleeping Dogs” makes a good promise for Book of Shadows II. Here’s hoping the rest of the album delivers on it. Review: Hank Williams Jr., "It's About Time"